An educational robotics startup is pioneering a new way of teaching computational thinking and programming through physical interactions with command cards. 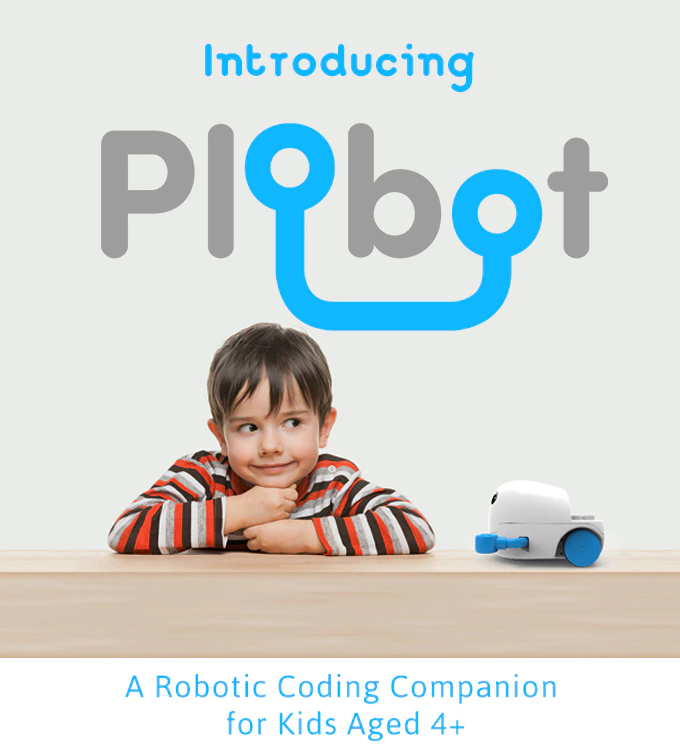 Plobot is an Arduino-based robot learning companion designed for four to eight year-olds. It’s designed to be a child’s first encounter with coding concepts – using cards and storytelling versus syntax and computer screens. Each command card represents a block of code, directly triggering actions for the robot through its built-in RFID scanner. Kids can make Plobot navigate a maze of obstacles, play music, light up with different colors, sense nearby objects, and much more. Swiping the cards in sequence strings together a ‘program’ the robot follows, with the „Play“ card working as an execute function. Amplifier cards mimic loops and conditionals, changing the effects of the other cards. By breaking down each task into a sequence of steps, kids exercise problem solving and creative thinking abilities, while picking up core coding concepts such as variables, conditionals, and loops. This helps pave the way for a foundation in computational thinking, and sparks an early interest in computer science. Plobot can take up to 50 instructions in one sequence. With card expansion packs, Plobot provides countless possible combinations that make it one of the most versatile screen-free coding platforms in the market. 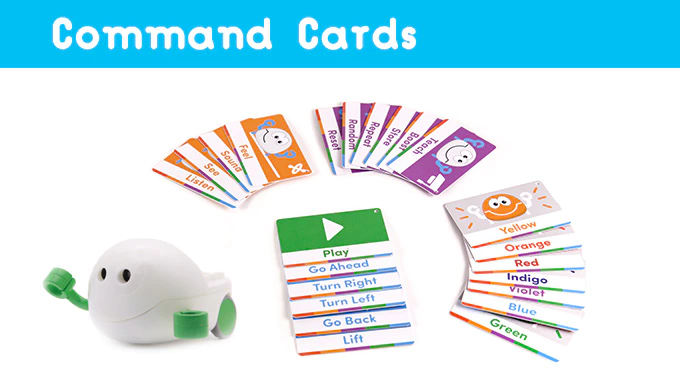 In addition to command cards, Plobot works with ‘stations’, circular pads with labels like ‘school’, ‘ice cream shop, or ‘home’ which serve as goal posts during programming activities and adds a storytelling element to the lessons. Plobot’s exterior is made of easy to clean plastic, and kids can customize Plobot using stickers, clay, and or attaching Duplo blocks on its back. Plobot began in 2013 as Rodolfo Cossovich’s side project. Rodolfo is an Argentinian robotics engineer and inventor who teaches robotics at New York University. 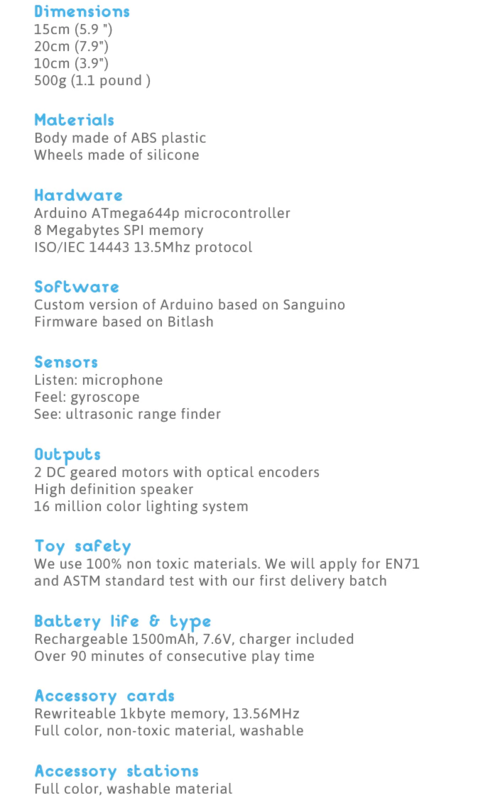 Plobot participated in Make in LA’s hardware tech accelerator to move the project forward. The edtech startup has developed a custom curriculum around Plobot which it has pilot-tested with hundreds of kids in international schools and coding bootcamps in Shanghai, Taipei, Buenos Aires, Washington DC, and other cities over the past year. Plobot is set to launch on crowdfunding platform Kickstarter the third week of October at a retail price of $159. An introductory price of $79 (50% off retail price) will be offered to early backers. Dieser Eintrag wurde veröffentlicht in Crowdfunding, Education & Studies, English, General, Hardware und verschlagwortet mit Kickstarter, Plobot, Programming Cards von Sebastian Trella. Permanenter Link zum Eintrag.